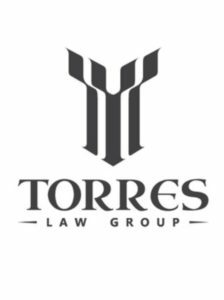 Torres Law Group is a full service, litigation law firm providing legal services to the insurance industry, corporate risk management and commercial clients throughout the State of Florida from our offices located in West Palm Beach, Miami and Orlando. We represent clients in litigated matters in State and Federal Courts and alternative dispute resolution forums and provide legal advice and counsel on coverage and non-litigated matters. We are a progressive law firm focusing on prompt and accurate delivery of high quality legal services, specifically tailored to the individual needs and goals of each institutional client. The client’s priorities are our priorities. We provide customized solutions prioritizing efficiency, value, predictability of legal fees and superior outcomes. Deliver client focused and strategically managed, sophisticated legal advice and services promptly, efficiently and accurately. Attract diverse individuals who thrive on personal challenge and who exhibit a commitment to excellence and provide them with the skills to excel. Build and nurture relationships forged on honesty, respect and integrity. Foster a culture that encourages everyone to contribute their special strengths and talents to reach their full potential, rewards improvement through innovation and supports the pursuit of our personal passions.